Gun jezelf een Mindfulness Stiltedag - Tijd, Rust en Aandacht voor jezelf. Take a break from the stresses of modern day living & experience the benefits of Mindfulness. Just come & BE! The retreat focuses on introducing through experience the practices of mindfulness, leaving participants with a better understanding of what mindfulness is and how the approaches might support them in their day to day lives. - First timers who’d like to bring the benefits of mindfulness into their everyday lives. It is recommended, though not required, that you have some experience with meditation. - More experienced mindfulness and meditation practitioners who would like to give their mindfulness practices a boost. 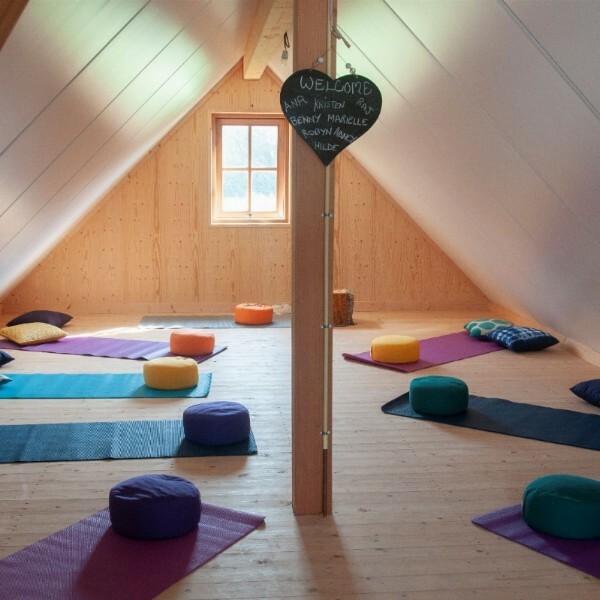 Meditation mats and cushions are provided. A delicious, wholesome lunch (also suitable for vegetarians) and refreshments are included. We will mindfully walk in the nearby beautiful forest so bring your walking shoes. The day will be guided in either Dutch or English.